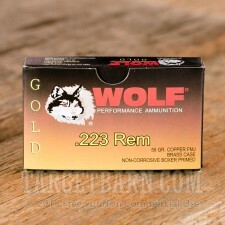 This Wolf Gold ammunition is a high quality .223 Remington load that delivers similar external ballistics to M193 ball. Each cartridge in this volume priced case of 1,000 (50 boxes of 20 rounds each) fires a 55 grain full metal jacket bullet at 3,250 feet per second. An excellent choice for AR-15 target shooting! Wolf Gold ammo is made in Taiwan by the same defense contractors that supply that country's military with .223/5.56 NATO ammunition. 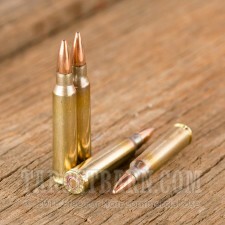 It uses non-corrosive Boxer primers and reloadable brass cases with mil-spec visible annealing. Enjoy great selection, low prices, and fast shipping at Target Barn. 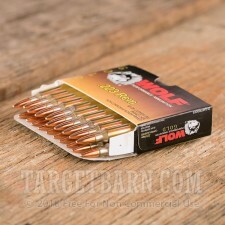 Check out our selection of high quality loaded ammo and cardboard targets!